Pavel Grafkin, MS is Lead Software Architect and Technical Team Lead in Odysseus Data Services, where he is responsible for the development of the ARACHNE Platform, a system enabling federated observational research, and leads a team of developers of the ATLAS Platform. Pavel is working directly with end clients among whom there are huge life sciences companies, such as Janssen Pharmaceuticals, IQVIA, Takeda, GlaxoSmithKline Pharmaceuticals, Astellas Pharmaceuticals, Columbia University Medical Center, Stanford University, and BCBS. 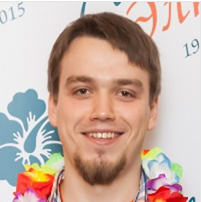 Pavel received his MS degree in Universität Rostock, Germany, and his areas of expertise include web development, middle tier development, databases, advanced security, Big Data and DevOps. Prior to joining Odysseus Data Services, Pavel worked in a Fraunhofer IGD, an international leading institute for applied research in visual computing, and First Line Software, a company having many industry rewards, including Gartner Cool Vendor and 50 Most Valued Microsoft Solution Providers. Knoll C, Grafkin P, Sena A, Rao G. (2018) Expanding Treatment Pathways to a Standardized Analytics Capability Within the OHDSI Ecosystem. OHDSI 2018, Bethesda MD. Grafkin P, Knoll C, Sena A, Kern D, Rao G. (2018) Standardizing Cohort Characterization Within the OHDSI Ecosystem. OHDSI 2018, Bethesda MD. Klebanov G, Grafkin P. (2018) OHDSI ARACHNE Research Network. OHDSI 2018, Bethesda MD. Rao G, Knoll C, Grafkin P, Kern D, Klebanov G. (2018) Implementing the Cost and Utilization analysis to enable standardized Payer analytical use cases within the OHDSI Ecosystem. OHDSI 2018, Bethesda MD.